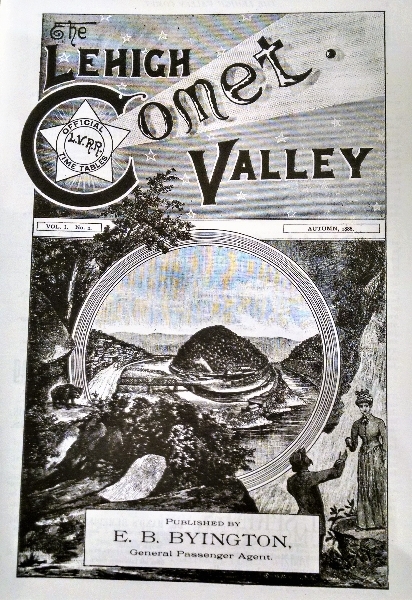 Sayre Historical Society ...The Lehigh Valley "Comet"
Quality reproduction of an original 1888 on board magazine. Many articles, advertisements and engravings. Black and white 31 pages. Stock#0201 Price-$5.00+.30 tax. Total $5.30 plus $2.00 shipping and handling.